While in Monterey, experience the best of our wine region by trying Chardonnays and Pinot Noir varietals, as well as enjoying the region’s vineyards and all they offer. I urge guests to ask for recommendations from service staff regarding their pairing favorites and appreciate the complexity of our Monterey County wines which are affected by the cooling influences of the Monterey Bay marine layer. Consider pairing wines with each course to truly capture the enjoyment of how food and wines complement one another, creating a dining experience to remember! 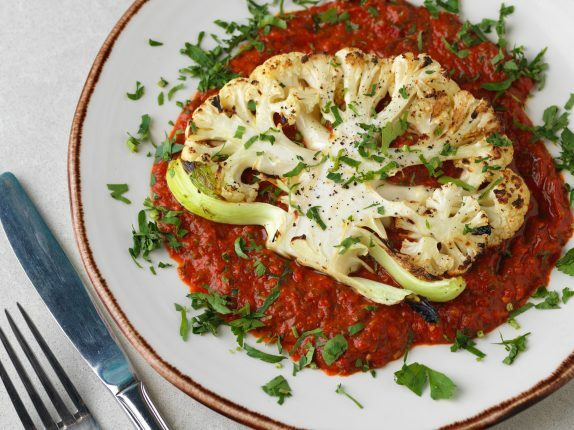 Try a bottle of our Diez Dias de Marzo 2016 Spanish white blend as it reflects tasty, intense citrus flavors and pairs perfectly with Chef Danny Abruzzesse’s roasted cauliflower; complemented with a Spanish Romesco Sauce for all to enjoy. Wente’s Riverbank 2014 Riesling by the glass, offers a floral nose and crisp fruit forward tropical notes which complement our Club Sandwich. Relax under our 40-year-old Fichus trees lining both sides of the lower atrium area of the restaurant. The combination of flavors featured in our Seasonal Pizza of Italian sausage, fennel, sweet peppers and Reggiano parmesan pair nicely with Samuel L. Smith’s 2016 Sandstone Terrace Sarah featured by the glass. This wine has a flavorful minerality and subtle leather and tobacco finish. 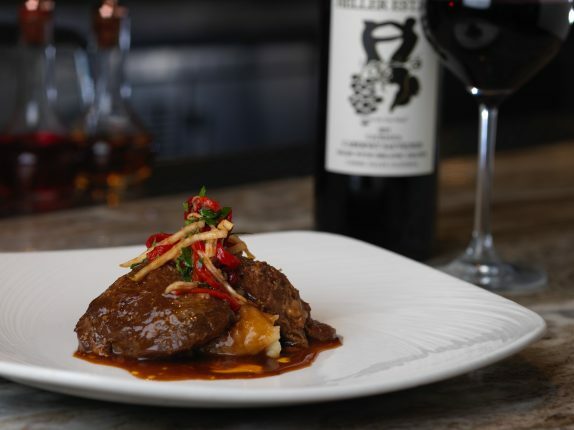 A bottle of Heller’s 2014 Carmel Valley Cabernet Sauvignon, pairs nicely with the celery root and flavorful Veal Cheek on our Jacks Monterey menu, offering a nice complex blend of bright berry and intense dark fruit flavors for our guests to enjoy. Join us at Jacks Monterey and share your favorite pairing recommendations, while enjoying wonderful cuisine and fantastic wine! 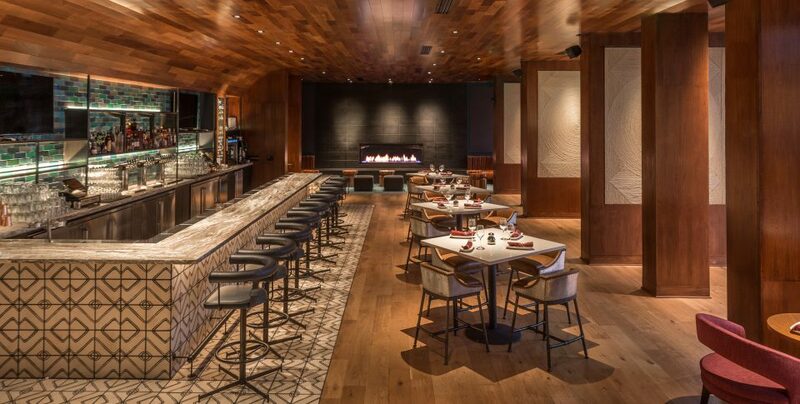 View Jacks Monterey’s award winning wine list here.